Is it too late for JCPenney? Will new JCP mini-stores and a $10 gift make a difference? Despite a strong September for industry retail sales and somewhat optimistic forecasts, JCPenney's new strategy has failed to bring in consumers. Eschewing the successful promotional and heavy discount approach that works well for competitor's Kohl's and Macy's, early this year JCPenney's new CEO, Ron Johnson, embarked on a simplified everyday low price strategy. Customers have been underwhelmed. In an effort to get them back in the stores, Penney's has now sent customers a $10 loyalty gift card, refusing to call it a “coupon”. JCPenney stores are also being transformed by the addition of “mini-stores” that are pop-up boutiques for brands such as Levi's, Sephora, and Liz Claiborne. Johnson's background with Apple has clearly come in to play, as Levi's “denim bar” features iPads that allow customers to browse their 11 cuts and 88 washes of Jeans. In addition, salespeople are being outfitted with iPads to assist cutsomers and check them out without having to queue up at the cash register. On the other hand, in a Fortune magazine article independent analyst Walter Loeb has predicted that by 2013 JCPenney sales will have dropped $5 billion from $17 billion to $12 billion. He said the retailer “is becoming irrelevent to investors and a liability to manufacturers”. ACM Partners, Margaret Bogenrief, has gone so far as to call Johnson's strategy a “reckless experiment”. What are your thoughts? You can comment below. 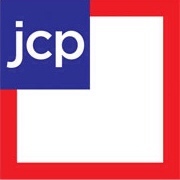 This entry was posted in Business and tagged business, JCPenney, retailing. Bookmark the permalink. 2 Responses to Is it too late for JCPenney? Retail needs new ideas, particularly department stores, but I worry that Penney’s “grand experiment” won’t last long enough to discover whether it will succeed. 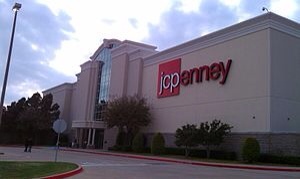 The challenge facing Ron Johnson is that, unlike Apple stores, he isn’t offering products unique enough to allow JCPenney to serve as a destination retailer. Thanks for the comments Maria. I agree. Department stores in general could use some fresh ideas. But a struggling JCPenney is hardly in a position to re-invent the industry. Johnson’s experience at Apple has been likened to shooting fish in a barrel. The problem JCPenney faces is that you can’t win when there are no fish in the barrel.